It can be disheartening to find out that after spending about 5 years in polytechnic for your ND and HND program, you’re still NOT given the same, if not better recognition, as your university counterpart. Some people were done with their HND and later sidelined by the labour market for the university graduates. Imagine how worse it becomes to find out later that only the university graduates are even recognized, by law, to lecture at the polytechnics where you’ve been trained. An HND holder can only lecture in a higher institution if he has additional qualifications like PGD and/or Msc. Whereas, a Bsc holder can be offered a graduate lecturer position on convocation. Now, thousands of HND holders are seeking ways to upgrade themselves to the status of their university counterparts without necessarily returning to a university and starting all over from 100 level. I gave more recommendations in my post, "HND vs Degree in Nigeria: 4 Ways Out for HND Holders"
You can end up possessing a degree certificate if you take any of the two routes below. In the case of Direct Entry admission, you obtain JAMB direct entry form and select your intended university. You can be given admission to 200 or 300 level of your desired course – depending on the policies of the universities in question. See also: UTME/DE: A Major Requirement to Gain Admission to Nigerian Tertiary Institutions. The main purpose of this piece is to introduce you to Bsc (Degree) Top-up program or HND to Bsc Conversion Course. 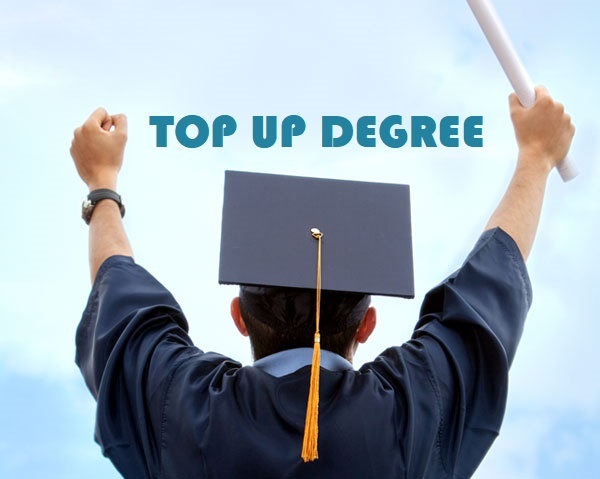 What is a Bsc (Degree) Top-up program or HND to Bsc Conversion Course? This post answers a series of questions and guides you on how to go about this short-cut to converting your Higher National Diploma (HND) to Bachelor of Science (BSC). This is usually a year or two academic program designed by some universities to upgrade HND holders to Bsc. The academic program is usually a two-semester course that will drill candidates in line with their previously held certificates. In other words, such course, usually, will be in line with or the same as your former course. After completing this course, you now have two qualifications: your former HND certificate (under the previous polytechnic) and the new Bsc certificate under the name of the new university. Graduates who want change to another related or different course. . Graduates of polytechnics are not trained to be teachers, they can use this programme to change to education line. University graduates with third (3rd) class or pass can consider the course to chase a better grade. In Nigeria, the HND – Bsc dichotomy is not new. Even when government is trying to level both qualifications up, private establishments may not change the game in the next few decades. This is why every HND holder who aims to use his education to get job should consider this opportunity. The list will be continually updated. Visit the page again. Will it reflect on the certificate that I did top up degree instead of regular degree? Usually No. Schools here, are not known for indicating such. Will I be allowed to go for NYSC after my top up degree? No, not likely. Policies may change with time. But right now, no such arrangements between NYSC and the schools. How much does it cost to run a top up degree? No specific price for the program. In other words, different school has her price and arrangement. However, experience has shown that the fee is usually affordable and friendly. Students usually enjoy flexible payment plans too. To know the cost, contact the school of interest. Can I be working when running top up degree? Yes you can. However, nature of the studies (one year) and tedious academic arrangements may not be encouraging for the working students. People would appreciate it if you could just share this post with them on Facebook, Twitter, Whatsapp etc. Use the share icons below for your convenience.